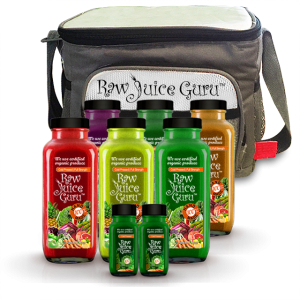 You receive Daily 6-8 16oz Organic Cold Pressed juices in Glass Bottles, plus 2 tonic/elixir, and a detoxifying Tea. We distribute our Juice in Glass Bottles for the sustainability of the environment. 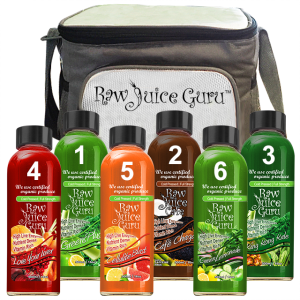 Each Juice Cleanse is customized to fit your needs and conditions, this is not a set program, we design and formulate each cleanse to the clients health, issues, concerns and goals. Juices change daily, VARIETY is important to achieve the best results possible and to cleanse your body. All our produce is 100 % Organic, we use the freshest local produce to make the most live raw Juices you will ever taste, with our slow Press Juicers. 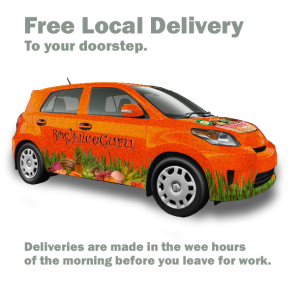 Depending on where you live there might be delivery charges. Please inquire before purchasing about delivery charges to your area. Refer back to the “How to order” page.